John Kiriakou is widely known as the former CIA case officer who, in an interview with ABC News in late 2007, confirmed that the CIA had tortured prisoner Abu Zubaydah, an alleged member of al Qaeda, on the waterboard. Kiriakou was aware of only one instance in which Zubaydah was waterboarded, but his revelations set off a slew of investigations that sent America’s secret clique of torturers and their political bosses running for cover. Even the Senate, with feigned sincerity, initiated an investigation in 2009. The vicious CIA wasn’t pleased, to put it mildly, nor was the Obama administration, which sicced the FBI on Kiriakou. As the controversy percolated and the authorities closed in, Kiriakou became a bit of a media sensation. Caught off guard by the flurry of attention (wanted and unwanted), he perhaps inadvertently violated the Intelligence Identities Protection Act by disclosing, among other things, the name of a covert CIA officer. Facing 40 years in stir, Kiriakou copped a plea in October 2012. In February 2013 he entered the federal prison in Loretto, Pennsylvania. He was released in February 2015 with an entirely new perspective on America’s racist, sadistic, but highly profitable “corrections” industry. John Kiriakou, however, was not an ordinary convict. While in prison he enjoyed the blessings of the Reverend Farrakhan and, as an acknowledged “human rights guy” was protected from many of the harsh realities most inmates endure. He received mail from thousands of supporters and maintained a popular blog, Letters from Loretto that got him in trouble with the Bureau of Prisons. But as a celebrity with a powerful attorney, he escaped additional punishments. That doesn’t mean Kiriakou has it easy. The fascist law enforcement establishment considers him a traitor who got off easy and would love nothing better than to get its claws in him again. Many of his former CIA colleagues feel the same way, and the unforgiving CIA reviews and censors his writings. So he must be cautious in his statements about the CIA (including, one might deduce, those he made in this interview), and thus his answers sometimes have the intonations of a talking head issuing well-practiced sound bites. This is not a typical interview with someone who has freedom of speech. But then again, John Kiriakou is an unusual man accustomed to navigating dangerous waters. After being recruited into the CIA by a college “talent scout”, Kiriakou spent his first eight years in the Agency as a Middle East analyst specializing on Iraq. In 1998 he transferred to the sexier Operations Division and later its premier counter-terrorism branch. The 9-11 terror attacks catapulted him into prominence as chief of CT Ops in Pakistan, in which capacity he ran an agent network that located numerous Al Qaeda safehouses. Kiriakou and his unit were responsible for apprehending dozens of “enemy combatants” in high tech paramilitary raids that included US and foreign Special Forces. This is heady stuff, the Rambo kind of marauding that births CIA legends and leads to rapid career advancement. But for Kiriakou the adventure was short-lived, and in 2002 he returned to CIA headquarters. In 2004 he resigned to spend more time with his children, who were 9 and 6 at the time. He had recently divorced, the kids were in Ohio, and he couldn’t risk being sent overseas again for years at a time. So he took a job in the accounting firm Deloitte & Touche’s “competitive intelligence practice” section, which meant spying on the company’s competitors – Ernst & Young, PricewaterhouseCoopers, KPMG, Accenture, IBM, etc. In 2009, through political connections to Senator John Kerry, Kiriakou became an investigator with the Senate Foreign Relations Committee. Two years later he returned to a job in the private sector, while engaging in public speaking and media consulting (including Hollywood). John Kiriakou walks a fine line. On the on hand he is an icon to idealists, in the mold of Dan Ellsberg, Chelsea Manning, and Ed Snowden. As a whistleblower who has been persecuted for acts of conscience, he is a celebrity of sorts – a position that can be intoxicating and corrupting. On the other hand, Kiriakou is still recovering from the shock of being in a cage for two years. More determined than ever to help America become a better place, he has dedicated his life to prison reform. John Kiriakou is not, however, dedicating his life to CIA reform. He’s certainly not in a position to whack that particular hornet’s nest, not unless he wants to revisit Loretto. Is it really better to send “our friends” in Egypt and Saudi Arabia after ISIS? How are “we” in a position to even imagine sending other nations to do our dirty work and clean up our imperial messes? Remember, these are same “friends” the CIA hired to torture a lot of innocent people. I recently had the privilege of asking John Kiriakou some questions. His answers are below. DV – Democracy is defined as, “A system of government in which power is vested in the people, who rule either directly or through freely elected representatives.” America prides itself on being the freest democracy in the world. Is that a mass delusion, given the overarching power of the CIA, which American citizens have no control over? JK – I don’t think we’ve ever had a truly free—or even exemplary—democracy. Just look at the oppressed people throughout our history. What would African-Americans, the poor, immigrants, and workers say about the strength of our democracy, especially throughout history. I think it is indeed a mass delusion. DV – We only ever hear of the CIA sabotaging and subverting Leftist governments. 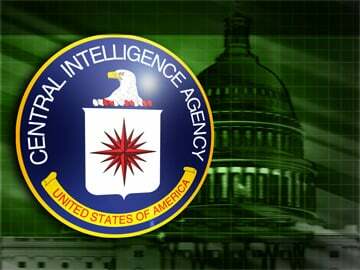 As an institution, what is the CIA’s political ideology? Is it as extreme right as seems to be the case? JK – I think the institutional ideology of the CIA is an extreme right-wing ideology. Throughout history it has been the CIA leading Presidents, not Presidents leading the CIA. It is the CIA that presents to the president the idea of covert action, not the other way around. This has led to nothing but disaster, such as in Iran, the Dominican Republic, Greece, Chile, and Central America. DV – Our government has stated policies, which people associate with democratic values; and it has unstated policies. For example, Ronald Reagan said he would never negotiate with terrorists, a promise that ensured his re-election. Meanwhile he had the CIA sell weapons to Iran and used the money to fund the CIA’s army in Nicaragua. Is that what the CIA is: a mechanism our rulers use to make us believe they are moral and truthful, when in fact they are pursuing illegal activities that further only their own interests? JK – That is exactly what the CIA is—a “fixer” for Presidents. Unfortunately, most of the CIA’s fixes have very serious and severe long-term consequences. Look at Greece as an example. Don’t like Communism? Overthrow the government and replace it with a military dictatorship that still, more than 40 years later, traumatizes society. Don’t like the Iranian government taking “our” oil? Overthrow the democratically-elected Prime Minister and replace him with a fascist dictator, which leads to a theocracy that we are still fighting. These poor decisions, internationally-criminal decisions in some cases, have very long-term consequences, which the CIA doesn’t seem to care about. DV – As the primary mechanism of pursuing unstated policies that benefit only the rich ruling elite, what effect does the CIA have on our so-called democratic institutions, in particular on our “representatives” in Congress, and our so-called government watchdogs in the media? JK – Our representatives in Congress are little more than cheerleaders for the CIA. They are afraid of being labeled “weak” on national security, and as a result, there is no oversight. There are certainly a handful of courageous Congressmen and Senators, but they are few and far between, and, as far as the CIA goes, they are ineffectual. DV – After your CIA service, you served on the Senate Foreign Relations Committee. How does the CIA impose its will on the committees that affect its legislated mission, budget and operations? JK – First and foremost, the CIA “recruits” select members of Congress. They get special briefings; they are brought “inside” the circle. Their delegations get the red carpet treatment overseas. It’s very well thought-out. The CIA really knows how to cultivate people on the Hill. DV – You have also had extensive dealings with the print and TV media, as well as Hollywood. How does the CIA bend the media and Hollywood to its will? JK – The CIA can use a heavy hand with the media. If a reporter is writing a story that makes the Agency look bad, the Agency can threaten to withhold any future cooperation. If a Hollywood producer is making a movie about the Agency or an Agency operation, so long as it’s pro-Agency, the producers can get insider briefings (classified briefings, in the case of Zero Dark Thirty.) If an author writes a book critical of the CIA, the Agency will tell newspapers and other outlets to not review the book. It’s all very heavy-handed. DV – We have seen presidents use the CIA for self-serving, nefarious purposes. We’ve seen these same presidents protect CIA officers who get caught. Bush 1 pardoned CIA officers involved in the Iran Contra scandal, and Bush 2 commuted Scooter Libby’s sentence for outing CIA officer Valerie Plame. Obama continues the pattern of our leaders protecting CIA officers and punishing whistleblowers. How does this reality affect the recruitment and backing of candidates for national election by the Republican and Democratic parties? JK – I think every candidate for office at the Congressional level wants to court the Agency. Everybody wants to look like they’re tough on national security. So in that inherently authoritarian narrative, there is no room for whistleblowers. Anybody who sheds light on the darkness is the enemy. DV – The CIA is the organized crime branch of the government, conducting every crime imaginable. How does this immersion in illegal activities – the success of which relies upon deceiving the American public – coupled with the blanket legal protection they receive in return, affect CIA officers as individuals? JK – Well, first let me say that I’m a realist. There will always be a CIA, even if I think that the organization is no longer necessary. The only way to change the CIA is from the inside. With that said, on the operations side of the CIA, every employee is taught to lie, about everything, to everyone. Some officers do not know when to, or cannot, turn the lies off. That leads to policy disasters. It leads to cover-ups. It leads to Congressional investigations. The only way there can be justice is if the President lets the legal system run its course. But Presidents don’t do that. They participate in the cover-ups. They issue pardons to the wrong people. It’s bad for the country, and it’s bad for democracy. The CIA’s top managers and executives likewise succeed through their ability to corrupt and deceive. Our ruling class behaves the same way, and values the CIA for its expertise. Do we as American citizens also embrace this ‘dog eat dog” philosophy, and thus tacitly understand and approve of the CIA and the established pattern of not confronting us (and our fragile consciences) with the knowledge of its various crimes? JK – We can never accept this kind of behavior. Never. It is this kind of sociopathy that throughout history has led us into wars, coups and countercoups, and the defense of fascist dictatorships. Your FBN friend is exactly right. DV – You were involved in operations against the Taliban in 2001, when John Lindh was captured at the Battle of Qala-i-Jangi. Did the CIA and its allied forces summarily execute prisoners during and after this battle, in which CIA officer Mike Spann was killed? JK – I was not involved in this. I was in Washington at the time, and then I transferred to Pakistan in early 2002. When I was at the Senate Foreign Relations Committee, I initiated an investigation into the Dasht e-Leili Massacre, to which you refer. I have no idea of CIA officers were present at the massacre. I believe they probably were. But I don’t think we’ll ever know the truth about what happened there. DV – Apparently all but a few dozen of the 500 prisoners Qala-i-Jangi were killed. The survivors were loaded onto boxcars with several thousand other Taliban prisoners and, reportedly, suffocated to death. Those who emerged from the boxcars were gunned down and buried in mass graves by the Junbish-i Milli faction of the Afghan Northern Alliance under General Abdul Rashid Dostum. Is it true that CIA officers were advising Dostum’s forces and were complicit in the Dasht-i-Leili massacre? JK – I think it was closer to 2,000 people who were killed. There is no evidence that anybody was “gunned down.” Instead, according to survivors interviewed at Guantanamo, most of the prisoners suffocated in the boxcars. I don’t know if there were any CIA officers advising Dostum, nor is there definitive evidence that CIA officers were present at the box-up. That is what I wanted to investigate. But my investigation was killed. DV –Former Ohio Senator Stephen Young revealed in 1965 that CIA “black propaganda” tactics included having its mercenaries pose as enemy guerrillas and commit ghastly atrocities. Does the CIA engage in these types of “black propaganda” tactics in its war on terror? Does it infiltrate groups like ISIS, and seek to control and direct their leadership, for the undemocratic purpose of fueling conflicts and enriching its patrons in the war industry? JK – I have not heard of the CIA participating in atrocities like those described by Senator Young in the years after the Church Committee. DV – Zubaydah was waterboarded 83 times in one month, but he also “lost an eye” while in CIA custody. Given the ferocious nature of the fighting in Afghanistan, and given what we know about CIA practices in other conflicts, including Vietnam, was our national attention focused on waterboarding to deflect us from the more horrible atrocities CIA officers were committing (like, perhaps, gouging out eyes) in secret black sites and in the field, fighting enemy guerrillas? JK – Abu Zubaydah had a diseased eye when we caught him in Faisalabad, Pakistan in March 2002. I know that his diseased eye was removed by CIA physicians sometime after his capture, but I don’t know why. It’s my understanding that the CIA does not do things like gouge out eyes. Certainly waterboarding, cold cells, and sleep deprivation are bad enough. DV – All sorts of crimes occur within the realm of espionage. CIA and military counter-intelligence officers have traditionally had the right to terminate by murder their agents, and agent accomplices, in the field, without legal review? Is that still the case? JK – That has not been the case since the Ford Administration. DV – CIA officers, and the institution itself, seem sadistic in nature, taking perverse delight inflicting pain and death upon people, directly or through intermediaries in foreign police forces and secret services. Is that so? How does that mean-streak affect out national self-image and our so-called democracy? JK – This is a broad generality. I personally did not know anybody at the CIA who delighted in inflicting pain and death upon anybody. Certainly those officers exist. But they are few and far between. Either way, though, when a CIA officer commits torture or when the CIA as an organization sends a prisoner to a third country, where he is tortured, that weakens the Agency. It doesn’t strengthen it. And it weakens our democracy. DV – You were a consultant on the movie “Kill the Messenger.” To what extent are CIA officers facilitating the drug trafficking activities of warlords on its payroll in Afghanistan and the Middle East? Do they provide transportation? What else? JK – I don’t know. What I can tell you is that when I went to Afghanistan with the Senate Foreign Relations Committee staff in 2009, one Afghan poppy farmer complained to me, when I asked him why he was planting poppy instead of food crops, that he wished the US government would “make up its mind.” He said, “The CIA told me in 2002 that if I told them where al-Qaeda was I could grow poppy. Now you say I can’t grow poppy. I wish you would make up your mind.” We can all draw our own conclusions as to what has happened in Afghanistan with its poppy crop over the past 15 years. DV – What chance does America have of achieving democracy, given everything we’ve discussed above about the CIA, including the complicity of our Congressional representatives and media? JK – I don’t think we’ll ever be a true democracy. The vested interests are just too strong, and “democracy” doesn’t help them in any way. DV – Given the extraordinary functions it serves, is it possible to abolish the CIA and divide its functions between the State Department and the military? JK – Many Americans mocked Senator Daniel Patrick Moynihan when he said in 1975 that the CIA should be abolished. And I believe that it should. (I don’t think it will, but believe that it should.) Certainly, the analysis can be done by the State Department’s Bureau of Intelligence and Research; the human intelligence collection can be done by the Defense Department’s “Defense HUMINT Services; military analysis can, and is, done by the DIA; and special forces operations can and should be done by the special forces. We simply don’t need the CIA anymore. DV – Thank you John for the interview and for your courage in standing up to the CIA. I wish you great good luck with your prison reform endeavor. Author’s note: We know from Dewey Clarridge’s infamous terror manual Psychological Operations in Guerrilla Warfare that the CIA never observed the reforms imposed upon it in the mid-1970s.